true littoral zone of the continent, hence this is where we source our grapes. On March 3, 2014, a very special occasion was marked at Jardiniere Restaurant in San Francisco celebrating the 20 year anniversary of Littorai Wines and 30 years of winemaking for Ted Lemon. During this tasting, Ted shared 34 wines from not only 20 years of Littorai, but his journey as a winemaker over the last 30 years, beginning in Burgundy. Ted and Heidi opened a stunning lineup of wines from their personal cellar. This report will detail my impressions of that tasting. Ted Lemon has received well-deserved high accolades for his winemaking prowess through the years and I have written extensively in his praise. The first winemaker interview I ever did for Grape Radio was at Ted’s farm in the Sebastopol Hills back in 2007: www.graperadio.com/archives/2007/07/30/. His unique story is reviewed here. Born in Bedford, New York, Ted traces the origin of his interest in wine to a high school year in which he studied abroad in Burgundy. Later he attended Brown University where he majored in French literature. In his junior year of college, he spent six months at the Université de Dijon where he took a wine appreciation class from the director of Burgundy’s tourism office. The director was so impressed with the twenty-year-old Lemon, he offered him a job if he ever decided to take up winemaking. After graduating from Brown University, Ted was awarded a Samuel T. Arnold Fellowship and returned to France in the fall of 1980 to study viticulture and enology. He obtained his Enology degree from the Université de Dijon in 1981 and worked at many prestigious estates in Burgundy including Domaine Georges Roumier, Domaine Bruno Clair, Domaine De Villaine, and Domaine Dujac. Ted returned to the United States when his funds ran out and apprenticed with Josh Jensen at Calera Wine Company in Hollister, California. Late in 1982, while working at Calera, Ted was surprised by a call from Jacques Seysses of Domaine Dujac, who asked him, “How would you like to make Meursault?” At Domaine Guy Roulot in Meursault, one of the owners of one of the oldest and most traditional wineries in Burgundy, Guy Roulot, had died and his family was searching for another winemaker. Guy’s son, Jean-Marc had not chosen to follow in his father’s footsteps. The Roulot family had sought the advice of Jacques Seysses who was said to remark to Madame Roulot, “Of all the apprentices I’ve had, and I’ve had many, none has been as bright and capable as Ted Lemon. He has so many fine qualities, but there are two problems: he is twenty-five years old and he is American.” After consulting with Aubert de Villaine and others, Madame Roulot offered to make Ted the first American winemaker and vineyard manager at a major domaine in Burgundy’s history. 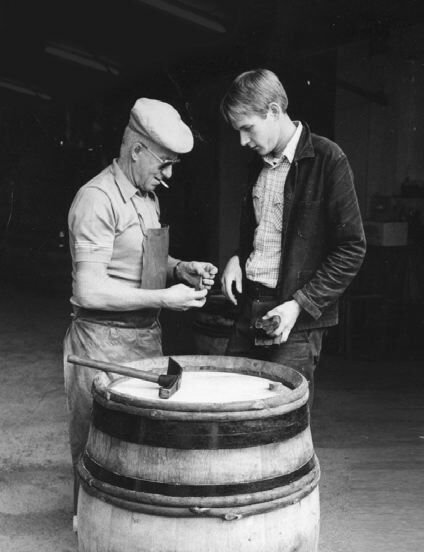 The photo below shows a young Lemon with Meursault vigneron Marcel Fichet at Domaine Guy Roulot where Ted remained until 1984. Upon returning to the United States, Ted was hired by a French family that owned a vineyard on Howell Mountain above the Napa Valley. Ted became the founding vineyard manager and winemaker, and oversaw the building of a new winery. The owners of Chateau Woltner planned to produce a French-style Chardonnay and Ted’s wines quickly attracted the attention of American wine connoisseurs. The wines were made in a non-malolactic style and as a result were high in acidity. Unlike high acid Chardonnays of Chablis, for example, the Chateau Woltner Chardonnays never did shed their acidity with age. Examples of these wines were not included in the tasting but were available for those interested after the tasting. 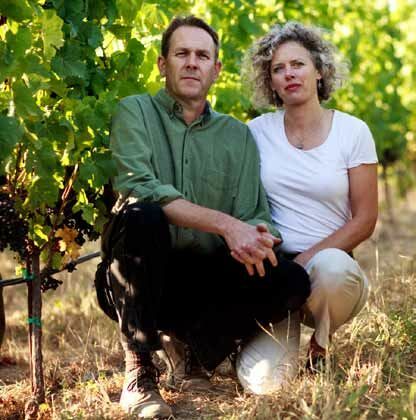 With his winemaking and winegrowing skills assured, Ted and his spouse Heidi founded Littorai Wines in 1993. 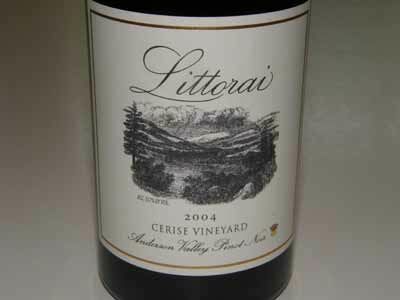 The name, Littorai (lit’tor-i) is a pleural derivative of the Latin word littor, which means the “coasts.” Ted and Heidi had spent a summer driving up and down the coasts of California and the Willamette Valley of Oregon to taste local wines and learn the terroir and history of neighborhood vineyards. He believed the finest Pinot Noir and Chardonnay were grown along the true littoral (coastal) zone of the continent, and became convinced that the geology and mesoclimates of the extreme portion of the continent north of San Francisco were diverse enough to create a series of unique terroirs. Ted settled on sourcing his grapes from vineyards in western Sonoma County and western Mendocino counties, finding those sites at the very boundary of where grapes could be successfully ripened. Ted’s years in France inspired him to base his winemaking on terroir-based postulates that specify that wine of a single place produced by a single estate is the greatest expression of winemaking. Pinot Noir and Chardonnay are wine grape varieties that are uniquely suited to this philosophy. According to Ted, “I believe soil is of major importance in a wine’s character. It’s clear there are tremendous differences between wines made from vineyards right next to each other even if they are vinified and treated exactly the same way. * Ted was the first and only American to become the head winemaker at a distinguished Burgundy domaine. * Ted is a life long winemaker who did not come into wine as a second career. * Littorai was the first modern California winery to create a “by-the-acre” contract for grapes in which Ted personally and closely supervised all aspects of vineyard management including pruning, fertilizing, irrigation and crop yields. In these contracts, growers are paid for the quality of what they grow, not the quantity. The first contract was written in 1993 for the One Acre Vineyard in the Anderson Valley that was part of Rich Savoy’s Deer Meadow Ranch. This type of contract is now the norm for premium Pinot Noir growers in California and Oregon. * Ted believes his job as a farmer is to make sure there is not wide diversity of ripeness in the vineyard. In other words, every attempt should be made to bring every block in the vineyard to the same ripeness at the same time. No second picks. * Ted was one of the first winegrowers who believed in low yields, proper clones, vertical trellising, leaf removal, and other now commonly used viticultural practices as a map for world class wine production in California. He is a true winegrower in that he is intimately involved in the entire wine production process from planting and managing vines to corking and labeling bottles. * Ted has had long-term commitments to great vineyard sites such as Cerise, Charles Heintz, Hirsch, Mays Canyon, Savoy, Summa, One Acre, and Thieriot vineyards. 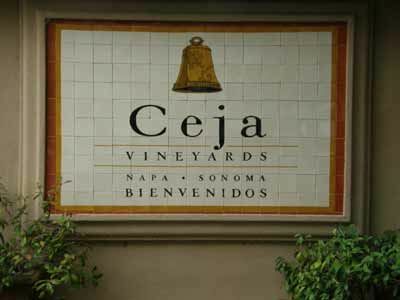 In the history of the winery, only two sites has been discontinued and they were absolved due to vineyard ownership change of Cerise and Summa vineyards. This is an exceptional record of terroir-based winemaking in California. * All vineyard sites are farmed without synthetics using only organically certified materials but not certified. Also, all sites are farmed biodynamically using biodynamic methods but not certified biodynamic. 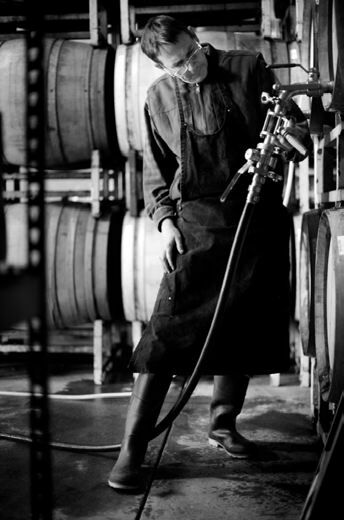 * Littorai was the first winery to vineyard designate Savoy Vineyard, Mays Canyon Vineyard and Charles Heintz Vineyard. * Ted has developed estate vineyards include Pivot, The Haven and The Tributary. * Ted has been a significant adviser to many wineries including Archery Summit, Keller Estate, and Burn Cottage (Central Otago, New Zealand). He has been a mentor to many winemakers including Scott Wright of Scott Paul Wines and Sam Tannahill of A to Z Wines and Archery Summit, both in Oregon, Jerome Chery of Saintsbury and currently Fog Crest, Andy Smith of DuMOL, and Trey Fletcher of Bien Nacido Vineyards. Doug Wisor, the head winemaker at Craggy Range, was one of Ted’s protégés before his untimely death. * At the forefront of biodynamic farming in California. Ted has said, “Wine from a well-managed biodynamic vineyard expresses terroir like no other." * Ted is not motivated by competition, ratings or trends, or by the lure of publicity. He does not submit samples for review and scoring, preferring to let his wines speak for themselves. That said, Littorai wines are poured at many wine events including World of Pinot Noir, Pinot on The River and West of West. Ted’s winemaking approach emphasizes minimal intervention, gentle handling of fruit and wine, and long lees contact. Pumps and filtration are avoided. All Chardonnays are barrel fermented. Pinot Noir wines are all fermented in traditional open-top fermenters and at least some proportion of whole clusters are used, a key to their age ability. All wines undergo native yeast fermentation and complete malolactic fermentation, as long as nature does not dictate otherwise. Punch downs are done by hand. Usually one-third to one-half new French oak is used for aging the wines as an element of complexity. Elevage typically lasts 16-18 months. The goal is to avoid over ripe flavors and high alcohol levels, focusing on finesse, balance and length, and wines that can improve and blossom with cellaring. As Ted has remarked, “The key word here is patience; patient winemaking and patience from the consumer.” He is a patient winemaker who works with the juice at hand, an artist guided by his taste more than science, and one who avoids using new technology only for its own sake. The old saw that California Pinot Noir can’t age has been put to rest years ago. This fallacy was propagated primarily because Americans have had little experience drinking aged California Pinot Noir. 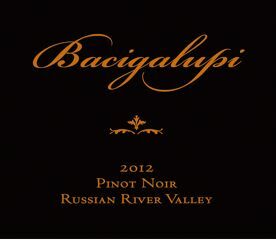 Current vintages of Pinot Noir are often intended to be consumed within a year or two of release and wine enthusiasts are encouraged to drink up before the next vintage arrives in the marketplace. 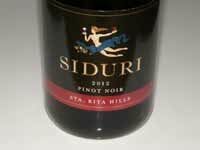 Newly released Pinot Noir goes straight to restaurants where thirsty consumers quickly deplete them from wine lists. 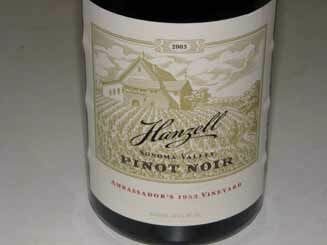 Have you seen any older vintages of American Pinot Noir on a restaurant wine list? Because Ted’s wines are focused on balance and harmony, they have the potential to evolve over time in bottle. With polished balance and proportion, his wines gain complexity as they age and are uniquely suited to the dinner table at any stage of their evolution. This was born out by the tasting of older vintages recently and by my many years of experience drinking Ted’s wines back to the 1994 vintage from multiple vineyard sources. 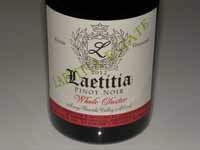 Reviews of older vintages can be located in the PinotFile Winery Directory under Littorai. Littorai’s 10,000 case winery on Ted’s 30-acre biodynamic farm property in Sebastopol was completed in time for the 2008 harvest. 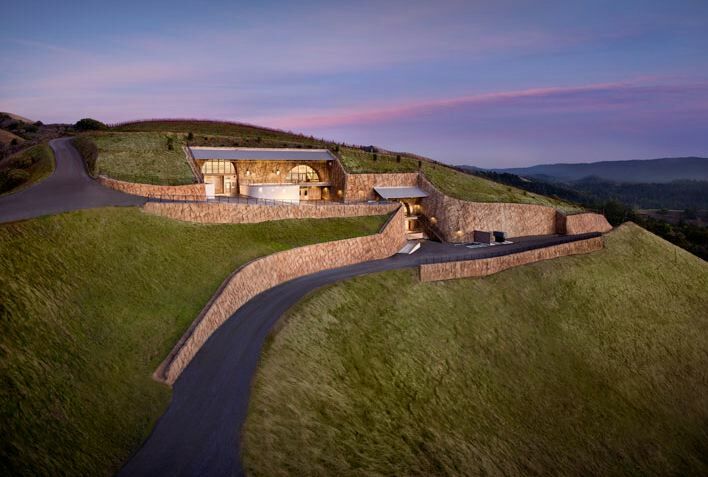 The winery is a straw bale building built on two levels tucked into the side of a hill. The facility is designed for solar power (part of phase two construction) and to maximize energy efficiency. Winery water is reclaimed through an innovative constructed wetlands treatment system that allows water to be reused for vineyard and farm irrigation. Underground caves for barrel storage connected to the winery are also planned as part of phase two construction. The winery is a simple design yet functional, with no signage. Ted says, “This is not an indulgence.” Tastings by appointment are carried out informally on a table in the winery which has a noticeable absence of wine related schwag and paraphernalia for sale. I had no idea Ted had been crafting Rousanne, Barbara, Cabernet Franc and Cabernet Sauvignon for Reverie Winery since at least 1995 and and had made Cabernet Sauvignon for Howell Mountain Winery in the late 1990s. Until his own winery was completed in 2008, Ted had vinified his own Littorai wines as well on Howell Mountain at Black-Sears Winery. Ted’s introductory remarks to the tasting included the statement, “Age doesn’t matter; it’s whether the wine tastes good.” The blind tasting confirmed this, with most wines showing complexity, nuance and interest, and some remarkable longevity. By most tasters comments, it was clear that the wines tasted good. 2010 Burn Cottage Vineyard Central Otago Pinot Noir Aromas of black cherry, exotic spices and forest floor. Darker stone and berry fruits are supported by firm, ripe tannins and bright acidity. Long, satisfying finish. 2012 Reverie Estate Bottled Diamond Mt. Rousanne Pale yellow and clear in the glass. Aromas of lemon, straw and wet stones. Delicate flavors of citrus, lemon-lime and slate with integrated acidity. 2010 Reverie Estate Bottled Diamond Mt. Rousanne Moderate yellow color and clear in the glass. Richer than the 2012 vintage on the palate with bright flavors of lemon, brioche, vanilla. Refreshing acidity. 2004 Reverie Estate Bottled Diamond Mt. Barbera Moderately dark reddish purple color in the glass. Aged bouquet with a hint of volatile acidity. Interesting and nuanced on the palate with flavors of dark stone fruits, dried cherry, green tea, and root vegetables wrapped in soft tannins. 1997 Reverie Estate Bottled Diamond Mt. Barbera Slight bricking at rim. Aged bouquet with a faint black cherry aroma and a slight medicinal note. 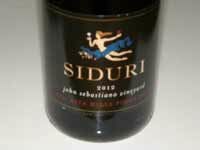 Delicate, crisp flavors of cherry skin, ripe plum, tobacco and licorice. Modest tannic backbone, bright acidity and a long finish. 2002 Reverie Estate Bottled Diamond Mt. Cabernet Franc Moderately dark reddish purple color in the glass. Aromas of peat, oak and black raspberry. Middleweight flavors of black fruits with mild fine-grain tannins. A beautifully aged seamless wine that is still alive and highly pleasurable. 2001 Reverie Estate Bottled Diamond Mt. Cabernet Franc Moderately dark purple color in the glass. Aromas of blackberry jam with a hint of black olive. Full-bodied with substantial tannins supporting an array of tasteful black fruits. 1998 Reverie Estate Bottled Diamond Mt. Cabernet Franc Dark purple color in the glass. Dried herbs and cigar are prominent on the nose. Quite herbal on the palate but very soft and pleasurable featuring blackberry and black plum fruits. An impressive aged wine. 1999 Howell Mt. Vineyards Howell Mt. Cabernet Sauvignon Dark purple color in the glass with slight bricking of the rim. Aromas of leaf, cigar, and crème de cassis. Luscious and juicy on the palate featuring bold yet refined flavors of black currant and black plum. Enjoyable harmony, yet finishes with a touch of heat. 1997 Howell Mt. Vineyards Howell Mt. Cabernet Sauvignon Dark mahogany color in the glass with slight browning of the rim. The nose lacks any recognizable fruit, showing only a bouquet of herbs and leaf. Retains more dark fruit on the palate accented with tobacco and herbal notes. Substantial fruit with gentle tannins. 2009 Reverie Estate Bottled Diamond Mt. Cabernet Sauvignon Very dark purple color in the glass. Gorgeous nose featuring vibrant aromas of blackberry, black plum, crème de cassis and spice. Intense, vivid and fresh with perfectly ripened boysenberry and blackberry fruits complimented by integrated tannins. The finish is generous and lengthy. Wow! 2005 Reverie Estate Bottled Diamond Mt. Cabernet Sauvignon Deep, dark reddish purple color in the glass. Some primary black fruit aromas combined with secondary scents of leather and herbs. Soft and fresh in the mouth with plenty of black cherry and blackberry flavor supported by sinewy tannins. Quite good. 1995 Reverie Estate Bottled Diamond Mt. Cabernet Sauvignon Dark brown color in the glass with a yellowing rim. This wine has very little fruit left, offering instead an array of mature aromas and flavors including dried herbs, brown spice, leather, green pepper and cigar box. 2003 Littorai Wines Thieriot Vineyard Sonoma Coast Chardonnay Light golden yellow color in the glass. Pleasing aromas of browned biscuit, lemon and herbs. Good fullness on the palate with delicious flavors of lemon curd, caramel, brioche and brown spice, carrying over to a surprisingly long finish. Terrific. 2002 Littorai Wines Thieriot Vineyard Sonoma Coast Chardonnay Light golden yellow color in the glass. The core of citrus fruit has faded on the nose. Mature flavors of burnt caramel, creme brulee, and spice. 2000 Littorai Wines Mays Canyon Russian River Valley Chardonnay Moderate golden yellow color in the glass. The nose is dominated by aromas of apple core, sulphur and chemical tones. Much better on the palate with mineral-driven flavors of baked apple, lemon and brown spices. 1999 Littorai Wines Charles Heintz Vineyard Sonoma Coast Chardonnay Light golden yellow color in the glass. Bouquet of pear and truffle. 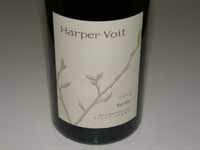 Demure flavors of grilled, smoky citrus fruits with a slight nutty, honeyed tone. Admirable balance. 1995 Littorai Wines Mays Canyon Russian River Valley Chardonnay Steely aromas of lemon-lime. Relatively rich flavors of lemon curd on toast, finishing with citrus-driven acidity. Quite enjoyable. 1995 Littorai Wines Occidental Sonoma Coast Chardonnay Steely aromas of lemon zest which are somewhat vibrant. Enjoyable flavors of lemon, pineapple, toast and brioche with integrated acidity. Still has life. 1983 Domaine Guy Roulot Meursault Charmes Moderately dark golden yellow color in the glass. Incredibly young for a 30 year-old wine. Shy aromas of slate, lemon and a hint of vanilla. Good fullness and richness on the palate with flavors of yellow peach and lemon tart, finishing with some persistence. 1983 Domaine Guy Roulot Meursault Perrieres Very similar to the Charmes but more austere fruit, more steely acidity, and more bite. 2006 Littorai Wines Thieriot Vineyard Sonoma Coast Pinot Noir Moderately light garnet color in the glass with a slight bricking of the rim. Crazy good nose with bright spiced cherry aroma. Soft and seamless on the palate with fresh cherry and baking spice flavors framed by gossamer tannins. Exceptional. 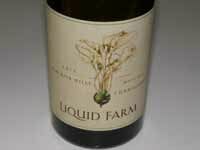 2005 Littorai Wines The Haven Vineyard Sonoma Coast Pinot NoirModerately light orangish purple color in the glass. Aromas of cherries and cocoa lead to a delicately flavored wine that is rather dilute on the mid palate and finish. A very feminine wine that seems to be fading. 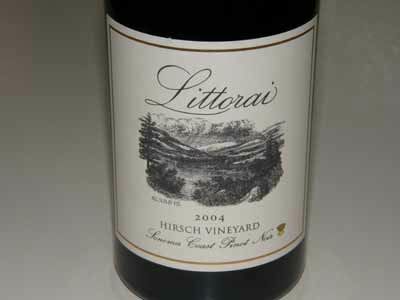 2004 Littorai Wines Hirsch Vineyard Sonoma Coast Pinot Noir Moderate reddish purple color in the glass. A very generous wine with bright aromas of black cherries and brown sugar. Deep, dark cherry and black raspberry core with exceptionally high acidity. A masculine wine with appeal. 2003 Littorai Wines Hirsch Vineyard Sonoma Coast Pinot Noir Moderate reddish purple color in the glass with slight bricking of the rim. A more mature wine with aromas of dried cherry and chocolate and flavors of cherry skin, dried berries, and tea. Very smooth on the palate with soft, dry tannins. 2002 Littorai Wines One Acre Anderson Valley Pinot Noir Light reddish purple color in the glass with slight bricking of the rim. Very charming nose of cherry, spice and cinnamon toast. 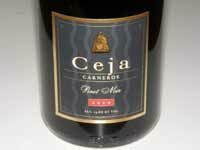 Elegant but flavorful with pleasing flavors of cranberry, red cherry, rhubarb and anise. Very soft tannins. Exceptional for a 12-year-old wine. 2002 Littorai Wines Savoy Vineyard Anderson Valley Pinot Noir Moderately light reddish purple color in the glass with slight orange bricking of the rim. The nose lacks primary fruit aromas and smells more of old book and medicine cabinet. The light red fruits are dominated by soft tannins that take over the finish. More interesting on a second pace but I needed more time to fully evaluate. 2000 Littorai Wines Thieriot Vineyard Sonoma Coast Pinot Noir Moderately dark reddish-purple color in the glass with an orange rim. Nicely perfumed with aromas of dried cherry, tea and toast. Delicate flavors of cranberry, cherry and orange with gossamer tannins. A great aged wine. One barrel produced. 1999 Littorai Wines Hirsch Vineyard Sonoma Coast Pinot Noir Magnum Peachy red color and slightly cloudy in the glass. Shy, but pleasing aromas of dried cherry and cranberry with a hint of oak. Yummy, delicate flavors of cherry and cranberry with bright acidity in the background and no detectable tannins. Delightful aged wine. 1997 Littorai Wines Savoy Vineyard Anderson Valley Pinot Noir Orange red color in the glass. Shy nose with very little fruit. 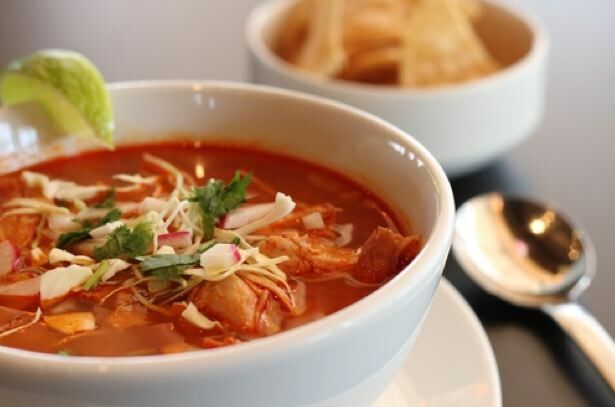 Soft and refined on the palate, with flavors of cooked cherry, orange peel, and cocoa. Retains some firm tannin. 1994 Littorai One Acre Anderson Valley Pinot Noir Magnum Moderately light reddish purple color in the glass with an orange rim. Lovely, demure aromas of spiced cherry. Very smooth in the mouth with melted tannins and delicate flavors of cherry, baking spice and brewed tea. Wow! 1994 Archery Summit Red Hills Vineyard Willamette Valley Pinot Noir Light reddish purple color in the glass. Appealing aromas of maraschino cherry and spice. Very light and feminine but retains some structure behind the elegant cherry core. A bit of alcohol peaks out on the finish. Vinified at Pine Ridge Winery in California. 1980 Domaine Dujac Clos Saint Denis Magnum 100% whole cluster. Brown red color in the glass with a yellow rim. Interesting nose with secondary bouquet of molasses, cherry reduction sauce and leather. On the down slope with fading red stone fruits, yet retaining a notable tannic backbone. 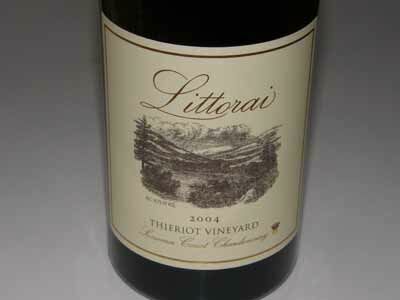 2003 Littorai Wines Thieriot Vineyard Sonoma Coast Chardonnay A remarkable wine that has a woody, straw, vinous, aged character that astounds. Similar to a Meursault. 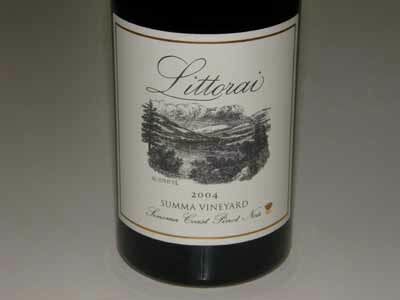 2004 Littorai Wines Summa Vineyard Sonoma Coast Pinot Noir Still fresh and lively with a full-bodied compliment of sappy, dark red fruits underlain with a savory mushroom, redwood forest riff. Full of life. The 2003 vintage was very generous and the wines had the most fruit remaining. The 2004 vintage was more defined by acidity. I do not feel anything is to be gained by aging the wines much longer, but none of the wines tasted were on the downslope. 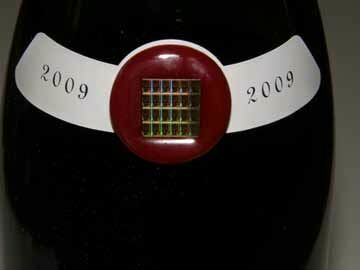 The 12 tiny chips that are placed in sealing wax on the shoulder crest of each bottle of 2009 reserve wine are fourth-generation PSoC 4 chips. PSoC chips were chosen to power the “click wheel” on the Apple iPad nano in 2005 and have powered the touch-screen interfaces of over one billion cell phones. The PSoC 4 chip is just one-tenth of the size of a finger nail, yet contains a 32-bit computer, 36 touch buttons, 2 amplifiers, an analogto- digital converter, 4 programmable logic blocks, 4 counter/timers, and 2 communcations interfaces. 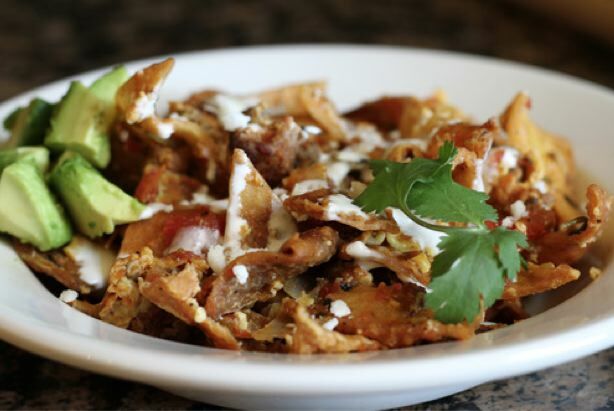 Each chip is priced at $1.00. PSoC 4 chips are the brains behind everything from espresso machines to toy helicopters to wearable body fitness monitors. Rodgers has three close-planted vineyards all within 20 miles of each other: Domaine Docteur Rodgers (DDR), Domaine Valeta (DV) and Domaine Lois Louise (DLL). 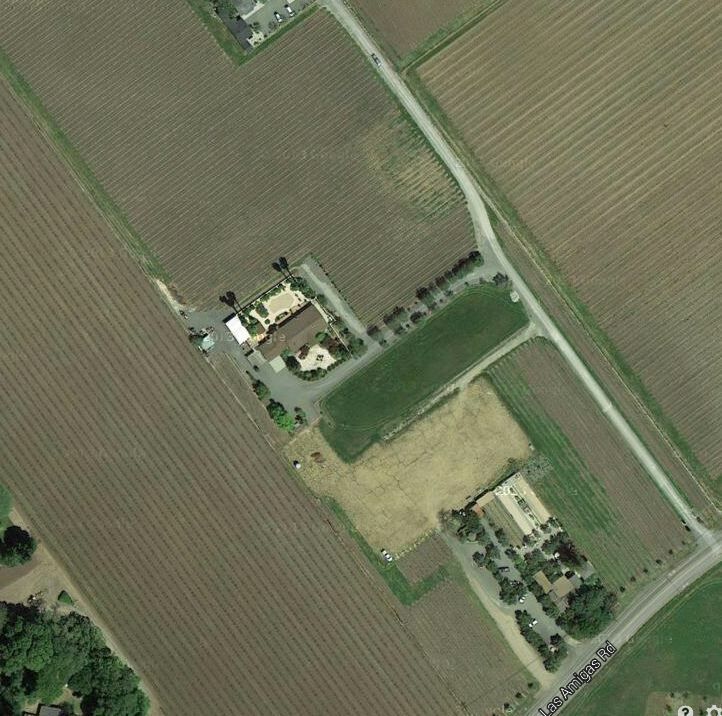 Domaine Docteur Rodgers is a one-acre, close-planted vineyard at 400 feet elevation adjacent Rodgers’ home in Woodside planted in 1994 to Dijon clones 113, 115 and 777 on Riparia Gloire, 420A and 101-14 rootstocks. Soil is loamy clay. The Pinot Noir from DDR is more fragrant and lighter in body than the winery’s mountain vineyards. The first Clos de la Tech Pinot Noir, 125 cases of Domaine du Docteur Rodgers Pinot Noir, was released from the 1996 vintage and priced at $101 per bottle, an unprecedented lofty amount for the time. The Domaine Valeta Vineyard (“Snow Vineyard”) is 4 acres planted on a 30-acre site perched on a peak at 2,350 feet looking down on Silicon Valley below. It is located on the first peak west of the famed Ridge Vineyard. This is a very cold site, even receiving snow in the winter, resulting in wines that have more body, tannin and color of any Clos de la Tech wine. The clones are 777, 115, 114 and 113 planted on Riperia Gloire, 3309 and 101-14 rootstocks. Soils are low fertility, well drained sandy loam. The first wine made from this vineyard was the 2002 vintage. Domaine Lois Louise, named after Rodgers’ mother, is an 80-acre ridge top vineyard at 1,700 feet, directly facing the Pacific Ocean within a 163-acre parcel in the hills above La Honda. This exposed site is vulnerable to a significant marine influence and is mostly above the fog line. This is probably the steepest vineyard in California, with a side slope of about 25º and an elevation climb of 966 feet. Rodgers had to design a special over-the-row tractor outfitted with cables to keep it from tipping over in this vineyard. Clones are 114, 115, 667, 777, and “828,” planted on Riperia Gloire, 3309 and 420 A rootstocks. The soils are clay loam on top of fractured rock. The yields here are the lowest of all Domaine de la Tech vineyards. 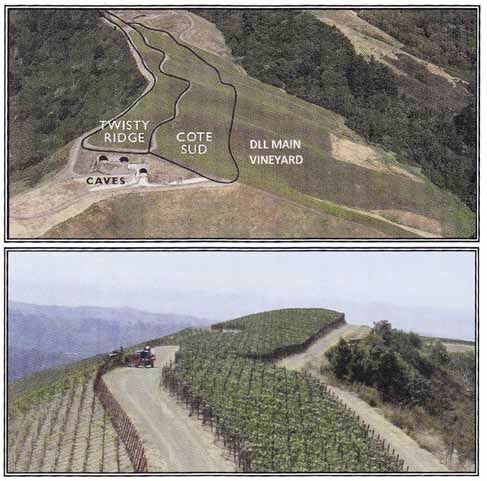 The Domaine Lois Louise Vineyard (top photo) has three distinct terroirs: the Main Vineyard (DLL), Twisty Ridge (at the top of DLL pointing directly to the Pacific Ocean; so narrow it must be farmed by hand; seen in the bottom photo), and Cote Sud (south-facing slope). The wines produced from each part of the vineyard are distinct: the Twisty Ridge Pinot Noir is the biggest and darkest fruited with notable tannins, the DLL Cote Sud is lighter in body and is the most aromatic with a signature citrus aroma, and the DLL wine is similar to Cote Sud but without the citrus nuance on the nose. The first wine produced from this vineyard was from the 2004 vintage. Vineyard practices include cluster thinning to reduce the number of seeds per grape and lower yields, concentrated plantings, and tipping (the tendril and top two small leaves on each cane are manually pinched off after 10% of grape flowers have bloomed, causing the vine to send a spurt of carbohydrate energy into the flowering grape clusters). Biodynamic viticulture is being instituted as well. 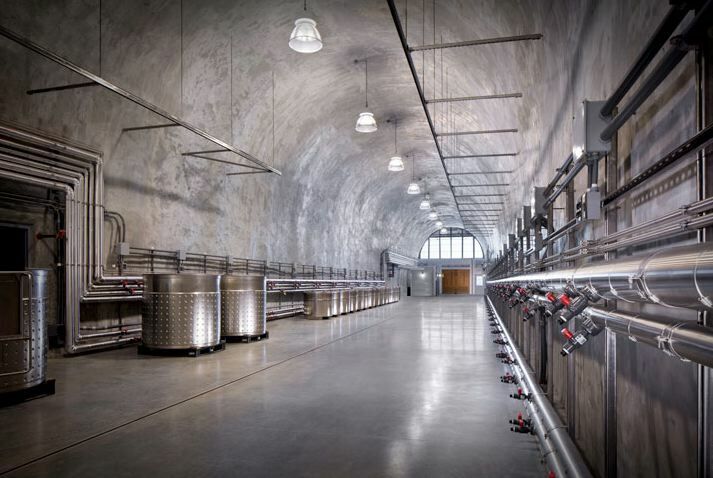 The gravity-flow winery, tucked into a hillside on the Domaine Lois Louise property, is a technological marvel, and includes a cave for crush and fermentation, another for barrel aging, and a third for bottling and case storage. The winery is designed for 10,000 case production, although currently about 2,000 cases of Pinot Noir are vinified annually. Photos of the entrance to the winery and the interior of the winery below. The winemaking regimen is very traditional with rigorous sorting, whole cluster fermentations, native fermentations, and foot crushing. Temperature-controlled fermentation tanks are supported by utility stations and are uniquely designed to allow pressing in the fermentation tank. There are no pumps in the winery and the wines are never filtered. Wines are barrel aged for 18 months in 70% new three-year air-dried Francois Frères barrels and aged in bottle for at least two years. 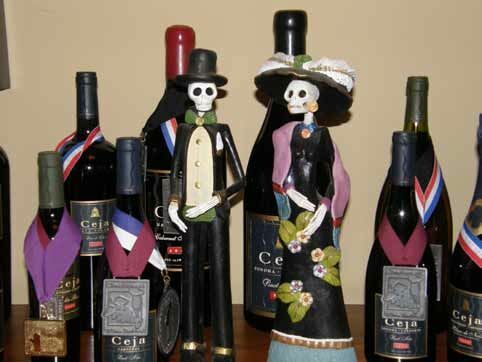 Clos de la Tech wines are sold almost entirely through a mailing list. 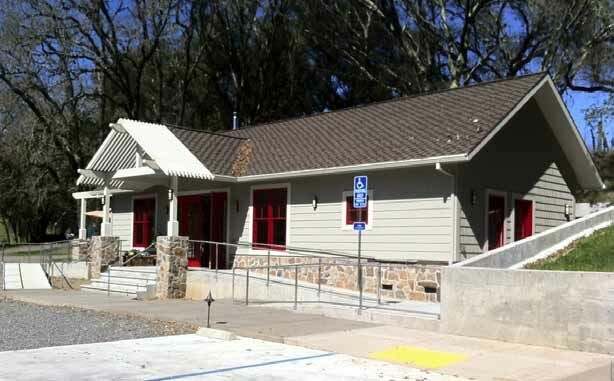 A tasting room is located in the Half Moon Bay Cheese Co. where the tasting bar offers many other wines as well. Visit the website at www.closdelatech.com for more information. The winery is not open to the public. 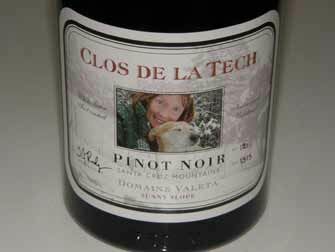 The five 2009 Clos de la Tech Pinot Noirs are reviewed below (current releases). All the wines have significant depth of color and extraction. The alcohols say 14.1% on the labels but from the size of the legs in the glass, the alcohols are most probably higher. The tannins are daunting on several of the wines due to the whole cluster ferments, so the wines need decanting or preferably several years in bottle for most enjoyment. Rivers-Marie experienced two challenging vintages in 2010 and 2011 due to the marginal location of the winery’s vineyard sources. The lineup of wines in these cool vintages were good to very good, but not exceptional. In 2011, yields were so poor that all blocks of the Summa Vineyard were combined in one bottling. 2012 was a totally different story. Grapes were harvested in 2012 between September 16 and October 20 at Brix ranging from 22.2º to 25.3º. The wines are concentrated but not heavy. Fruit flavors are still primary and winemaker Thomas Rivers Brown has said that he doesn’t expect much in the way of bottle complexity until at least 5 years after release. Winemaking advances at Rivers-Marie have led to more refinement in the wines. 2012 saw the beginning of a series of trials of some whole cluster fermentation, attempting to broaden the mid palate of of wines from sites that were too overtly fruity upon release. The winemaking regimen includes hand sorting and de-stemming into bin before transfer to open top tanks with as many intact whole berries as possible. In the case of small whole cluster adds, the fruit is hand sorted across a conveyor into an empty picking bin and dumped into open top fermenters before any de-stemmed fruit goes in. The grapes are cold soaked for 7 days and then cooling is turned off to ignite spontaneous fermentation. At pressing, free run and press juice are combined in tank and then sent to barrel where they undergo natural malolactic fermentation. The wines are racked clean and see their first sulfur addition after secondary fermentation is complete. The wines are bottled at the end of August, unfined and unfiltered. 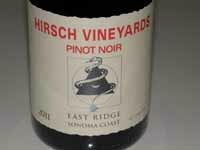 In addition to the wines reviewed here, Rivers-Marie produced a 2012 Sonoma Coast Pinot Noir (800 cases) comprised of Manzanita, Riddle and Lancel Creek vineyards and declassified Summa, Occidental Ridge and Silver Eagle barrels. No new oak was used in this wine with most of the structure coming from fruit tannin. All wines show impeccable craftsmanship with a seamless character. The wines are still very young and will benefit from several more years in bottle. That is not to say you cannot drink them now, because they are very accessible. I tasted these 6 wines blind, because I have a close affinity for Summa Vineyard, and wanted to make sure I was not influenced by the labels. All the wines (except the Silver Eagle) were noticeably better the following day from a previously opened and re-corked bottle. Jones grew up working in his grandfather’s vineyard in the Central Valley. After a career in technology, he decided to continue his family’s legacy of winegrowing, and in 1990, he started his own vineyard in the Sierra Foothills. 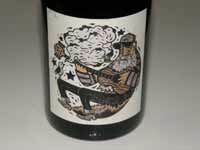 He has three labels: FIREFALL Red Blend, Zinfandel and Grenache Blanc, V Red Blend from the Santa Cruz Mountains, and E16 Pinot Noir and Chardonnay sourced from multiple regions. Jones’ photo below left. 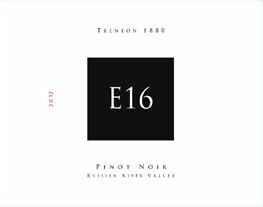 Winemaker Daniel Moore, who was an early champion of the Russian River Valley and became known for outstanding wines he crafted at Martinelli and Lynmar, produces the E16 wines in Sebastopol in a facility geared toward super-premium Pinot Noir production. His 30 vintages of experience enables him to craft exceptional wines and I was enthusiastic about the entire 2012 E16 Pinot Noir lineup. Photo below right. Visit the website at www.e16wines.com for more information and to purchase the E16 wines which are reasonably priced considering the quality. This was my first encounter with this winery and the wines were a pleasant surprise. 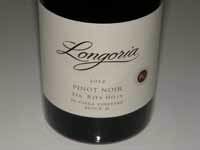 I remember Moore when he was at Lynmar many years ago and thoroughly enjoyed the Pinot Noirs he produced there. It is a whole lot easier to make very good to great California Chardonnay than to make noteworthy Pinot Noir. Whether produced with a combination of stainless steel and oak barrel fermentation, partial or full malolactic fermentation or full-throttle 100% oak barrel vinfication, the major aromas and flavors of California Chardonnay come from the winemaking, with differences in regional climates a second important factor. Chardonnay continues to be the most favored varietal among wine drinkers in this country, so it is not surprising that it is the most common white wine vinified by Pinot Noir centric wineries. 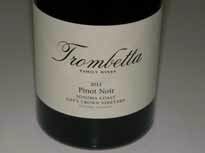 Because so many Pinot Noir producers send along their Chardonnay for review alongside their Pinot Noir, and since Chardonnay is my white wine of choice, I began reviewing Chardonnay in early 2010. That is not to say that the PinotFile has taken on a “bi” proclivity, and Pinot Noir will forever remain the main emphasis. 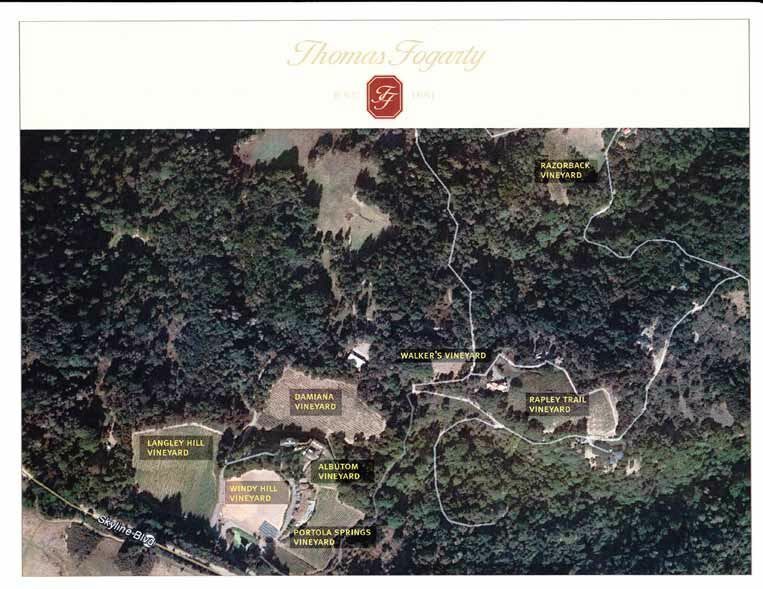 The 2011 Thomas Fogarty Single Vineyard, Estate, Chardonnay collection consists of four wines that hail from the original vines planted at the Fogarty Estate in the late 1970s and early 1980s high in the Santa Cruz Mountains only 10 miles inland from the Pacific Ocean. These vineyards are clustered around the winery and are separated by only a few feet, yet the variability in soil and exposure is reflected in the subtle, but noticeable differences between the wines. The winemaking is nearly identical for each wine so the variations in flavor and texture are mainly site driven. Grapes are harvest in the early morning hours, whole cluster pressed, and undergo a cool, native barrel fermentation. The wines are aged 16-18 months in 50% new French oak, except the Albutom which is aged in 100% used French oak. Planned release date is April 2014. The winemaking team is Michael Martella and Nathan Kandler. As the vines have entered maturity, the winery’s energies have been focused on renewing and invigorating the soil with cover crops, compost, compost tea, and the encouragement of ecological diversity in the vineyards. The vines are dry farmed. The Albutom Vineyard Chardonnay comes from the smallest (.33 acres) parcel. Lambert Shale soils are heavily fractured and feature quarter to basketball size pieces of fractured sandstone throughout the vineyard. Planted in 1981 to clone 4 on A x R1 at an elevation of 1,930 feet with 6’ x 10’ spacing. The Damiana Vineyard is the most protected site on the eastern flank of the ridge line. Clone 4 planted on A x R1 with 6’ x 11’ spacing at 1,890 feet elevation. The fractured shale here features classic Santa Cruz Mountains mudstone that is very fine when weathered, well-drained and mineral rich. The was the original vineyard planted in 1978 at the Estate and usually shows the most opulence and richness of all the wines. The Langley Hill Vineyard is the winery’s largest Chardonnay planting at just over 5 acres. Clone 4 was planted on A x R1 in 1980 with 6’ x 10’ spacing at 1,925 feet elevation. The undulating hillside has a multitude of exposures and varying soils. Heavily fractured shale with scattered colluvium yield wines with minerality and citric fruit. Portola Springs Vineyard (2 acres) is the most unique of the four vineyards in that it is intensely mineral infused with bright acidity and energy. Clone 4 was planted on A x R1 in 1982 with 6’ x 10’ spacing at an elevation of 1,920 feet. The fractured shale here is overlain with silica-rich basalt. This volcanic material was likely flow from nearby Mt. Melville. This wine shows undeniable intensity and tension. A map of the vineyards is below. 2011 was a record late harvest, even exceeding 2010, and amazingly cool. Harvest did not end until November 3. Yields were the smallest ever in most vineyards. Yields averaged around 1 ton per acre. Resulting alcohols were low and acidities high. 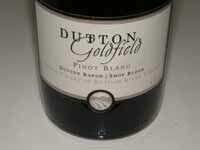 Two surprisingly outstanding Pinot Blancs are included in this list of wines. Pinot Blanc and Pinot Gris arose as independent somatic mutations of Pinot Noir. Somatic mutation is a natural mechanism that allows plant growers to develop new cultivars. 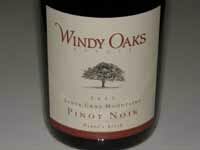 Research reported in the Journal of Experimental Botany (November 2012) found that this mutation of Pinot Noir arose independently from the ancestral Pinot Noir, suggesting a novel parallel evolutionary model. Pinot Blanc is fairly widely planted worldwide, but has never received the attention accorded other major white varieties. It probable has garnered its most notoriety from examples grown in northern Italy and Alsace. Its flavor profile mimics Chardonnay, but is lighter and less assertive. New World styles of Pinot Blanc range from a stainless steel fermented, bright, mineral-driven and timid wine to a wine resembling a fat, creamy Chardonnay. Many examples are driven by subtlety, sometimes to the point of blandness, giving the wine a bad rap. No one can say for sure exactly what a great New World Pinot Blanc should be, but the two examples reviewed here will point the drinker in the right direction. Bohème is project of Kurt Beitler, whose uncle is Chuck Wagner of Caymus fame. In 2000, Wagner charged Beitler with farming his Pinot Noir vineyard, Taylor Ridge, located near Occidental. This led to an epiphany about the sensational Sonoma Coast wines. The name of the winery comes from the Bohemian Highway that runs through Occidental. The bohemian spirit implies individual, artistic and virtue. Beitler grows all the vineyards from which he makes wine - about 20 acres in three different locales. His winemaking approach is traditional, except that he uses no new oak in the aging process. This produces wines with less tannin, more elegance, and no added sweetness and spice that comes with new oak exposure. Visit www.bohemewines.com. Hirsch Vineyards experienced a marvelous 2011 vintage, with a difficult spring (cold, winds and rain) evolving into a cool, clear summer. The skies were clear and dry, temperatures were consistently moderate, and the weather was equable throughout the crucial growing season and veraison. Physiological development was in harmony with fruit and sugar development. Fruit from all 60 farming blocks reached maturation at about the same time, but a shortage of harvest labor forced crews to start work around midnight initially, then as early as 7pm, and work until mid morning. The crew was working 14 hour days to pick pristine fruit and keep ahead of the rain. By October 2, all but two acres were in (a client wanted to wait out the rains for more sugar ripening) and then over 6 inches of rain fell. David Hirsch points out the vines don’t do much below 50º F and above 95º F. At the vineyard’s latitude, 38 north, temperatures above 75º F drive vegetative growth and sugar ripening if the skies are clear at the expense of ripening for flavor, aroma, depth and tannin development. It is in the sweet spot of 65º F to 80º F with good sunlight that the vine expresses its full development in the vintage, and by doing so, elaborates the potential of its site. This miracle occurred in 2011. Hirsch Vineyard lies but 2.5 miles from the San Andreas Fault on the extreme western Sonoma Coast. It consists of a single vineyard of 68 acres divided into 61 individual farming blocks. The resulting degree of fragmentation is unmatched even by the famously subdivided vineyards of the Côte de Nuits. There is a far ranging variety of soils, topography and microclimates. Each block is individually developed and farmed, harvested and vinfied separately. Jamie Kutch has experienced remarkable growth in 2012 with the production of the first vintage in a new Sonoma facility and the arrival of 30 new tanks including Grenier 4-ton wood tanks from France (the same as used at DRC). The 2012 growing season on the Sonoma Coast was seamless in Jamie’s words. Because of the quality of the grapes, everything was fermented with 100% whole cluster (stem inclusion). 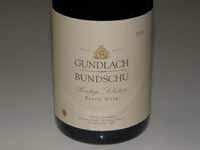 The wines had a darkness of color that exceeded any previous harvest at Kutch. The wines were bottled January 27, 2014. 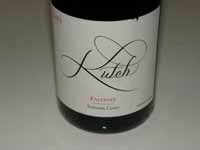 Visit www.kutchwines.com. 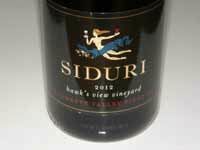 The following Siduri wines have only been in bottle 10 weeks and some are not scheduled for release until June of this year. Taking this into account, I decanted several wines and tasted all of them over an extended period. I have given a range of scoring with the consideration that several wines should improve with more time in bottle. The wines may warrant higher scores with an additional 6-12 months in bottle. All wines are bottled under screwcap. Talk of Grand Cru Vineyards in Oregon Katherine Cole recently posted on wine-searcher.com an article titled, “Oregon’s Five Grand Cru Sites of the Future.” Because of the interest of Burgundians in Oregon’s Willamette Valley, she makes a case for the Willamette Valley being the New World equivalent of Burgundy and a natural consideration is which sites are possibly of grand cru level. Her five choices include Abbey Ridge Vineyard, The Eyrie Vineyard, Jessie Vineyard (Cristom), Maresh Red Hills Vineyard, and Thomas Vineyard. She does admit leaving out many other possibilities, including 24 others, but curiously fails to mention Shea Vineyard. For now talk of a vineyard classification in Oregon is just that, talk. Carneros Wine Alliance Has a New Marketing Focus Carneros has been left behind of recent in promoting the region’s outstanding wines. 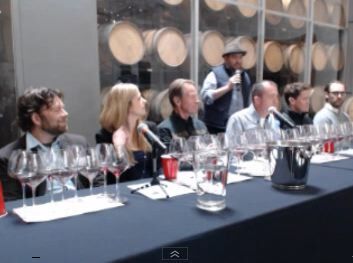 A recent successful 2014 Annual Barrel Tasting Event on March 25 at ZD Wines barn confirm the new commitment to raise the level of awareness of the excellence of particularly Carneros Pinot Noir and Chardonnay. New leadership of the Carneros Wine Alliance, which includes T,J, Evans of Domaine Carneros, Anne Moller-Racke of The Donum Estate/Stemmler Winery, Brandon deLeuze of ZD Wines and Alison Crowe of Garnet Vineyards, among its 25 members, want Carneros in the conversation when California’s top regions for Pinot Noir and Chardonnay are discussed. 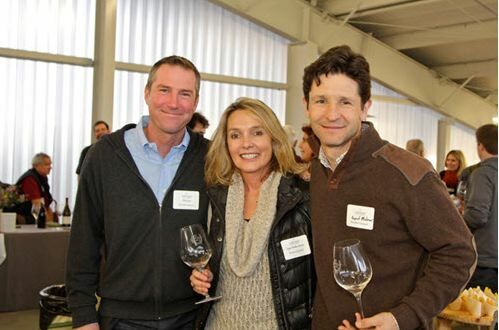 Foley Family Wines Buys The Four Graces Foley Family Wines has acquired The Four Graces, a producer of premium Pinot Noir, Pinot Gris, Pinot Blanc located in the Dundee Hills of the Willamette Valley. The purchase includes the tasting room and the 540acre Black Family Estate Vineyard in the Dundee Hills, and the 41-acre Doe Ridge Estate Vineyard in the Yamhill-Carlton AVA. Foley owns more than 15 wine estates in the United States and New Zealand, but this is his first foray into Oregon. Ste. Michelle Acquires Eola-Amity Hills Property Ste. Michelle Wines has bought 298 acres formerly owned by CalPERS in the Eola-Amity Hills AVA, including the 119-acre Willakia Vineyard. Ste. Michelle plans to incorporate the Pinot Noir and Chardonnay from this vineyard into their Erath label which they acquired in 2006. Along with Atlas Vineyard Management’s recent acquisition of 683 acres including Cooper Creek and Fern Creek in the Willamette Valley, about 4,200 acres of vineyard land has changed hands in Oregon and Washington in the last year. Nike Cork Trainers This is the latest fashion accessory for winemakers and winery owners. Nike has released a line of training shoes as part of the NIKEiD Air Force 1 series that buyers can customize with the limited-edition cork upper or go all over, or complement the cork with premium leather accents. The trainers can be made with light or dark cork along with a number of other customizing features. Prices range from $190-$200. The cork option is only available for a limited time for men and women in both the high and low top design. Visit www.nike.com, if you are a wine geek. Pop Chart Lab Offers Napa & Sonoma Wine Maps The infographic company, Pop Chart Lab offers two maps for navigating the wineries of Napa and Sonoma, spotlighting over 500 wineries and vineyards in Sonoma and over 700 in Napa. Zoomed-out pockets help identify exact locations of wineries in densely populated areas. The California Wine Country Set is offered in 18” x 24” poster format in framed or unframed options ($54). A decorative addition to the den at home, but not helpful when you are on the road in these regions. Visit www.popchartlab.com. James Ontiveros & Matt Turrentine Buy Large Santa Maria Valley Acreage Lewis Purdue reported in Wine Industry Insight what was confirmed by Michael Fritz of Farmland Letter that Ontiveros and Turrentine (Grapevine Capital Parnters, a San Luis Obispo venture launched in 2012)) along with Harvard University’s endowment fund, acquired a 7,623-acre cattle ranch for $10,080,000 in northeast Santa Barbara County. The specific funding details are available to subscribers of Wine Executive News. Harvard has farm land holdings throughout the world, including a Dairy Farms Partnership in Central Otago, New Zealand. James recently told me that the region had sufficient underground water aquifers to be successfully farmed despite recent climate changes and drought conditions. 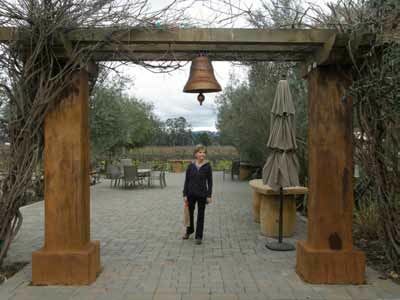 Hanzell Vineyards President Takes New Role In June 2014, Jean Arnold Sessions will transition from her role as President of Hanzell Vineyards to Board Director and Brand Consultant. 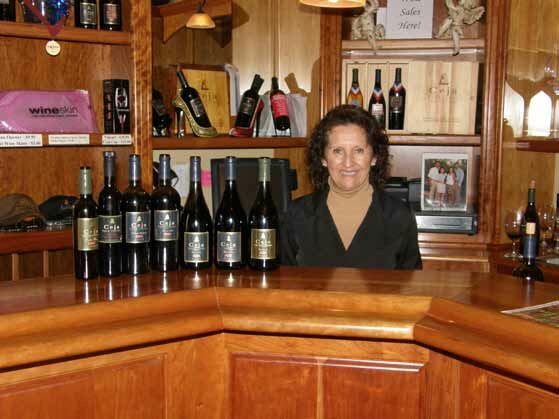 Jean Arnold Sessions has been with Hanzell Vineyrds since 1999, and was appointed President in 2002, taking over for Bob Sessions, now Winemaker Emeritus. Brooks Builds New Winery Construction has begun on a new 12,000-square-foot winery and tasting room on the Brooks Estate property, adjacent the winery’s estate vineyard and close to the current facility. Completion is expected by harvest 2014. The project was put into action by Managing Director Janie Brooks Heuck and Winemaker Chris Williams. The new grounds will feature gardens where they will grow biodynamic preparations for the estate vineyard. Founded in 1998, Brooks is a winery and biodynaically-farmed vineyard that continues to reflect the vision of Portland native Jimi Brooks. 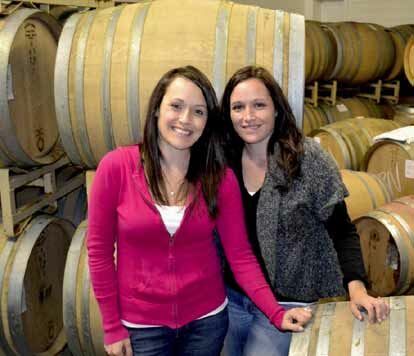 Third Generation Bacigalupis Recognized Katey Bacigalupi and Nicole Bacigalupi Derrico, granddaughters of Charles and Helen Bacigalupi, have been selected from dozens of nominations from Marin and Sonoma counties to the 8th Annual List of “Forty under 40,” announced recently by the North Bay Business Journal. With collective sales, marketing and agri-business degrees, the Bacigalupi twins are day to day managers of the winery and vineyard operation started half a century ago by their grandparents, Helen and Charles Bacigalupi. 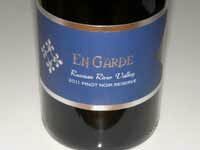 New Pinot Project at Alban Vineyards John Alban has had a fanatical pursuit of Rhone varietals. 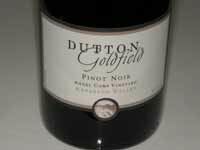 A 4.5-acre block of estate vineyard was planted in 1997 to Pinot Noir and Chardonnay. Located on a steep north facing hillside, it is known as North Vineyard. As the grapes have matured, the potential of the site became evident. In the 2012 vintage, Alban Vineyards is offering a North Chardonnay and North Pinot Noir to its mailing list for the first time. China Loves High Priced Wines According the www.thedrinksbusiness.com (April 14, 2014), China is now second to the United States as a buyer of high-priced wines. The Chinese, including buyers in Hong Kong, splurged 430% more on expensive wine between the years 2008 to 2012. China is now the world’s biggest consumer of red wine, overtaking France last year. Over 90% of the wine consumed in China is red, presumably because of the perceived health benefits. New Books on Burgundy There are three new books on Burgundy that are all worth your interest. The Climats of Burgundy: A Unique Millennia-old Heritage (Bernard Pivot, et al. ), Histoire des Hospices de Beaune: vines, domaines et donateurs (Marie Thérèse Berthier & John-Thomas Sweeney, $75), and My Favorite Burgundies (Clive Coates MW, $60). The Brits and Aussies take their wine very seriously and each country now has a distinguished publication directed at the aesthetics of wine. The World of Fine Wine, published in the UK and the pioneer in this wine publication genre, has now been joined by Alquimie, an Australian offering published four times a year under the direction of Editor-In-Chief Joshua Elias. Edition Two was released in the second quarter of 2014. 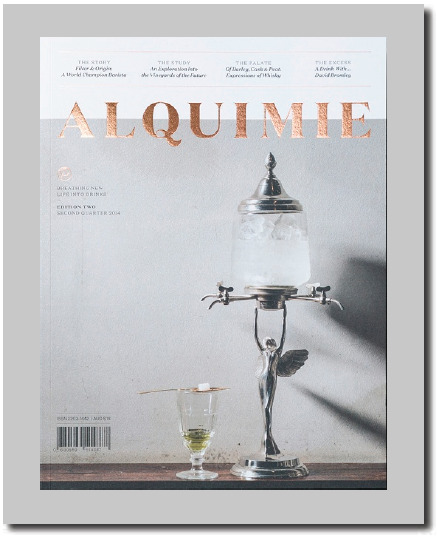 Alquimie is both educational and philosophical, enticingly readable, beautifully photographed, and professionally composed. Unlike The World of Fine Wine, Alquimie has a more expanded horizon of imbibeworthy subject matter. The current issue covers microbrews, spirits, and even coffee, water (“When the Clouds Touch the Ground”) and milk (“What Ever Happened to Real Milk”), as well as French truffles ( a gorgeously photographed coverage at Cioccolato Lombardo in Prahran, Australia). It is the superb wine articles that are the heart and soul of the magazine and the most important reason to subscribe. The current issue covers Chianti (“Classico No More? ), Portuguese grape varieties (“Um Cacho de Uvas), South African Chenin Blanc, the Australian Vineyards of the Future program, the 2008 Second Growth Bordeaux wines (“In Search of Claret”), and Pereira D’Oliveira Madeira (“100 Years Between Drinks”). The current edition of 172 pages is almost completely devoid of advertising. In essence, the magazine is a book in disguise and worthy of keeping on your shelf for reference. Subscriptions are $100 for four editions including worldwide postage and handling. Visit www.alquimie.com.au. 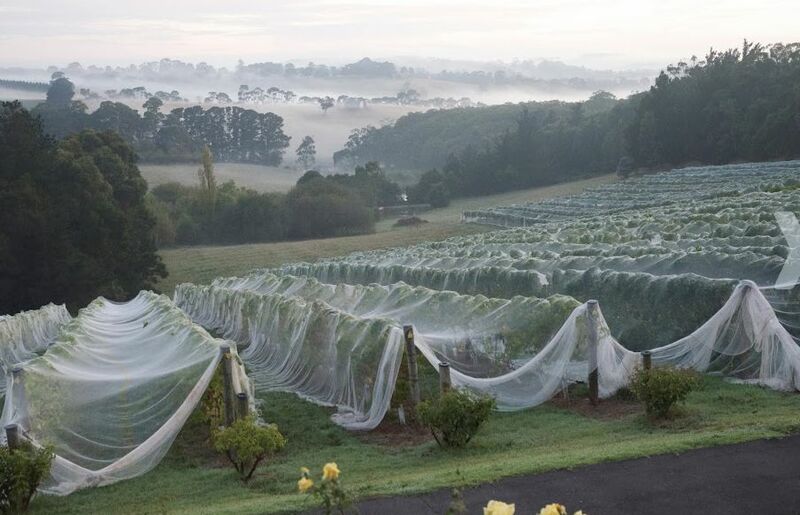 I want to leave you with a magnificent photograph of a Pinot Noir vineyard just before harvest owned and farmed by my good friend David Lloyd at Eldridge Estate Vineyard in Victoria, Mornington Peninsula, Australia.